An arch-conservative US website claimed that a Russian nuclear sub has been patrolling the Gulf of Mexico undetected for more than a month. 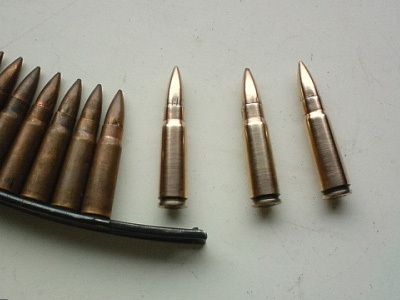 The website laid the alleged blunder by the US Navy at the feet of President Barack Obama. 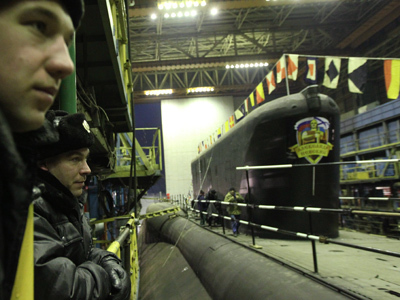 ­The Washington Free Beacon website claimed that a Russian Akula-class nuclear sub, loaded with cruise missiles, has been patrolling near the US strategic nuclear submarine base at Kings Bay, Georgia, the home base for eight of America’s nuclear-powered ballistic missile submarines. 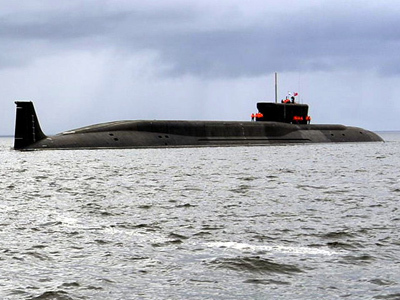 Armed with various types of torpedoes, including those with nuclear warheads, anti-submarine-warfare missiles and long-range (3,000 kilometers) nuclear cruise missiles, Akula-class subs are capable of destroying both nuclear submarines and aircraft carriers. The Republican-supporting website cited unidentified American officials in alleging that the Russian sub went undetected because President Obama, a Democrat, is preparing to cut the US military budget by $487 billion in the next decade. America’s antisubmarine defense systems were included on Obama’s list of proposed spending cuts. 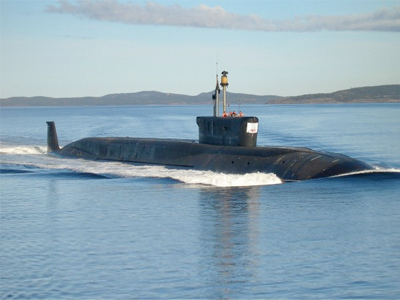 The report alleges that powerful US hydro-acoustic sensors deployed in the Atlantic and Pacific Oceans, supported by powerful military satellites, were unable to detect a sub Russia has deployed for the past two decades. “Sending a nuclear-propelled submarine into the Gulf of Mexico-Caribbean region is another manifestation of President Putin demonstrating that Russia is still a player on the world’s political-military stage,” and that Russia was “showing the flag,” Naval analyst and submarine warfare specialist Norman Polmar said to the Free Beacon. The Washington Free Beacon exposed blasted the Russian president as an “ex-KGB intelligence officer” who “wants to restore elements of Russia’s Soviet Communist past,” and has adopted a hardline policy towards Russian-US relations. The last time Russian subs were supposedly detected near US shores was in 2009, when the New York Times reported on two Russian nuclear-powered assault submarines patrolling the Atlantic some 200 miles off the American coast. The Washington Free Beacon article, however, gives the impression that Russian subs have had free reign over the Atlantic throughout Barack Obama’s presidency. The Free Beacon slammed the Obama administration for its proposed military budget cuts, which scrapped plans for the construction of 16 new warships through 2017, as well as plans to buy 10 advanced P-8 anti-submarine warfare patrol jets designed to detect submarines. 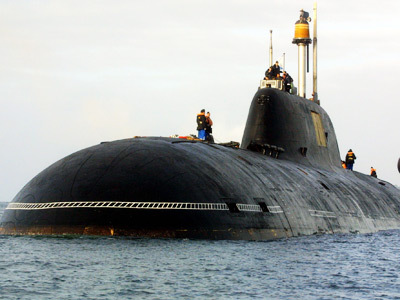 The Washington Free Beacon gave a detailed account of Russian naval activity in the Caribbean, citing Cuba and Venezuela, as well as the Nerpa Akula-class sub recently sold to India. The report also mentioned future Russian plans to build dozens of submarines and aircraft carriers. 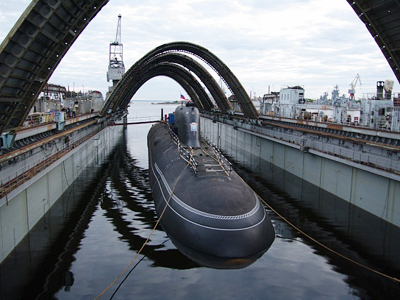 The Free Beacon listed various possible reasons for the Russian nuclear sub’s presence in the Gulf of Mexico, including a pushback against US plans to deploy a missile defense system in Europe, and Russia flexing its naval might in a bid to export Akula subs.